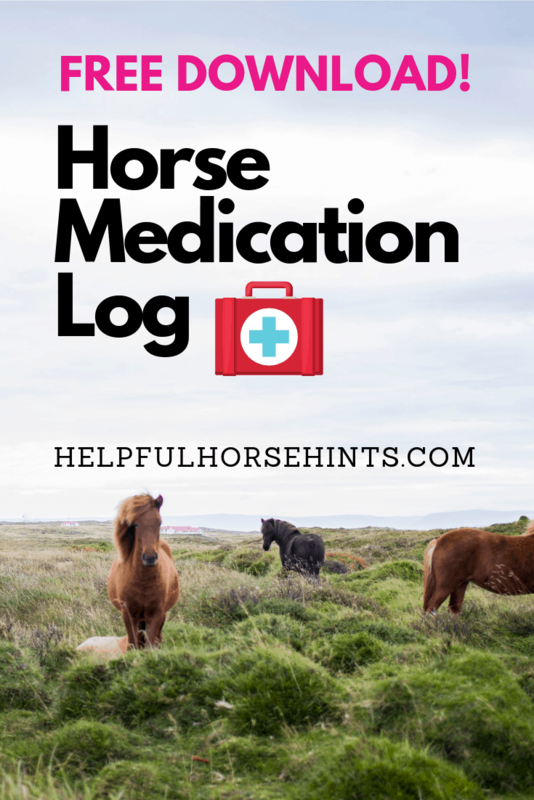 Having a way to keep track of what medications were given and when is important to overall stable management. 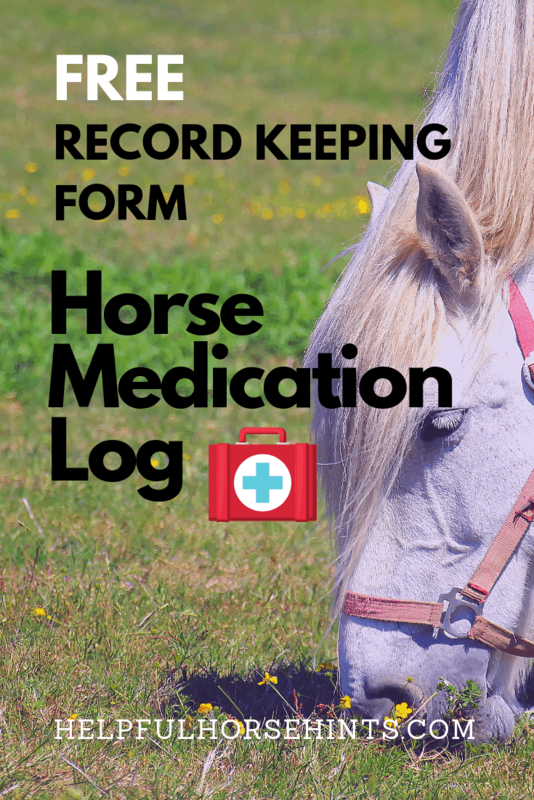 This medication log will help you track date given, which medication, which horse it was given to, who gave it and the amount. 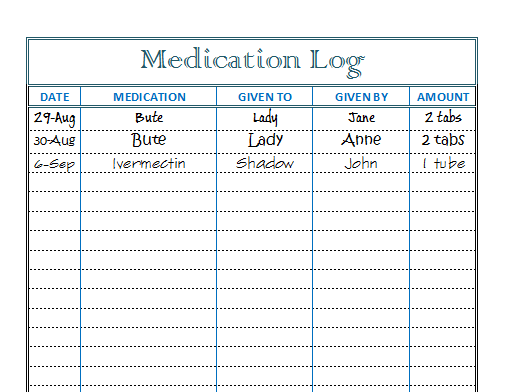 For given by, if only one person administers meds you could just list the method i.e. grain, IV, IM etc.